Vulnerability Discovered in Adobe Flash. Update Now. 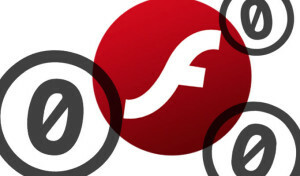 A new major vulnerability in Adobe Flash has been made public, and is rapidly spreading online. Adobe responded quickly today with an update to Flash. If you are one of our Advantage Program clients we have already removed the old version of Flash on your computer and installed the new secure version. If you are not on a plan with us, or are not sure, we recommend you visit this web page to Update Flash. This security flaw in Flash allows a malicious web site to perform any type of task on computers that visit such a site. It could be used to install viruses, copy personal information, retrieve stored passwords, etc. Here’s some more info on the vulnerability, Adobe-flash-exploit-that-was-leaked-by-hacking-team-goes-wild-patch-now. This entry was posted on Wednesday, July 8th, 2015 at 7:29 pm	and is filed under Business, Computers and Electronics, Security, Small Business. You can subscribe to any comments to this entry via RSS 2.0. Both comments and pings are currently closed.